It’s hard to go anywhere without seeing some reference to Facebook. You see companies asking for likes, discounts given away for those who “check in,” and you even find yourself going to a new restaurant’s page to read reviews before you even set foot in their building. So it’s no surprise that Facebook can have a huge impact on your business. As an investor, it’s important to know the in’s and out’s of Facebook, especially if you’re going to use it to your advantage. Here are 7 tips from SoaringSEM that can help you get the most out of your business’ Facebook page. Even if you haven’t set up a page for your business, there is a chance that a Facebook Place page already exists. A Place page is a very basic page that includes information like your business name, address, and contact information. This allows customers to rate, check in and like your business. Anyone can create a Facebook Place page. So to guarantee that the information is accurate and that there is only one page for your business, you’re going to want to be the one that creates it. If someone has already created your page, you can claim it. To learn how to claim your Facebook place page, click here. Facebook also allows you to boost posts. Boosted posts are a paid post from your business Page that will appear higher in News Feed so that there is a better chance your audience will see them. The cost depends on how many people you want the post to reach and the number of impressions the post gets with time. 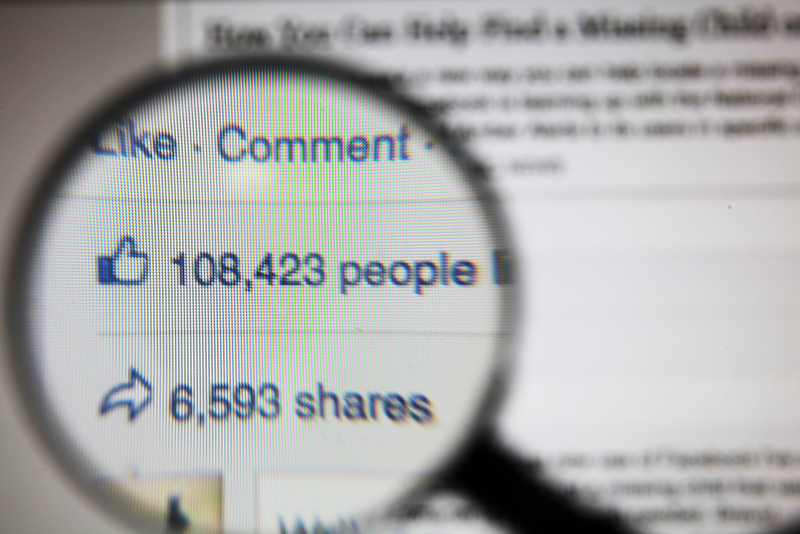 Boosting a post not only gives you a higher chance of being seen by people who have liked your page, but when someone likes or comments, it can appear on their friends’ News Feed. This can generate more likes for your page, which equals more business for you. It’s easy for your post to get lost among the different status updates, food videos, and political memes. But by providing a link, photo, or video to your post, your followers are more likely to see your post. Pictures are worth a thousand words but they’re also worth a million likes. According to buffer social, photo posts get 39% more interaction and account for 93% of the most engaging post. Photos and videos are the best way to draw attention to your business posts because images are more appealing to view than text. When you click the “use Facebook as Page” option, you are using your Page as your as you would your Profile. For example, if you post on another Page wall, you will be posting as your Page, not yourself. This allows you to represent your business through comments, likes, and conversations. When you comment on a client’s (or anyone’s) wall as your Page, this allows their friends to see it, which means you gain more exposure. The main purpose of your Facebook page is to convert those likes into leads. Make sure there is a graphic clearly pointing out your like button. Having a clear call to action (CTA) button on your page will help convert visitors into likes and likes into customers. When you tag other businesses or investors it lets the followers of the page know that you have relevant content, the company may share your post on their own wall, and it increases engagement on Facebook. If you tagged a company, your post will be on their page. Then when people comment on it, like or share it they may even follow your page. This is a great way to reach out to people with similar interests.